Mr. James Grady “Buck” Lewis, Jr., age 64, entered into rest on Saturday, August 25, 2018. 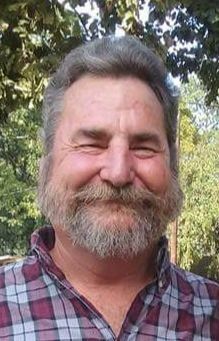 Graveside services will be 4:00 PM Tuesday, August 28, 2018 at the Lewis Family Cemetery by Brent Taylor. The family will receive friends from 6:00 – 8:00 PM Monday, August 27, 2018 at Miller-Rivers-Caulder Funeral Home. Mr. Lewis was born February 14, 1954 in Kannapolis, NC a son of the late James Grady, Sr. and Gladys Wallace Lewis. A retired logger with Wallace Logging, Buck enjoyed gardening, raising chickens and horses, and his favorite pastime was spending time with his grandchildren. In addition to his parents, Buck was also preceded in death by brothers, William Wallace and Clayton Wallace; sisters, Martha Lewis West and Joyce Ann Lewis; and 2 sisters-in-law, Jennifer Lewis and Marcella Wallace. Survivors include his daughters, Dusty Moser of Pageland, SC, and Misti Alexander of Chester, SC, and their mother and Buck’s best friend, Robin Lewis of Pageland, SC; 4 grandchildren, Taylor Keziah, Jada Keziah, Zane Vaughn, and Abella Jones; soon to be arriving great granddaughter, Aleigha Celeste Bailey; 2 brothers, Donald Wallace of Lancaster, SC, and Ricky Lewis of Pageland, SC; 2 sisters, Geraldine Childers of Sumter, SC and Margie Jean Eason of Pageland, SC; also numerous nieces and nephews. Memorials may be made to the Arthritis Foundation, 4530 Park Rd. # 230, Charlotte, NC 28209. Miller-Rivers-Caulder Funeral Home (www.mrcfuneralhome.com) of Chesterfield, SC is serving the Lewis family.